The newest generation of engine control & visualization systems for Jenbacher gas engines from GE. 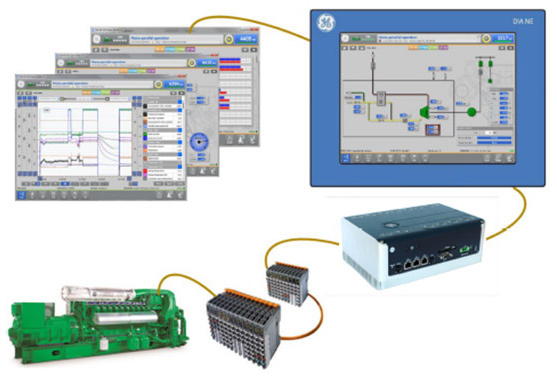 The system constitutes the human‐machine interface for commissioning, operation, maintenance, and trouble-shooting of the Jenbacher gas engines. This means you have the Jenbacher gas engine firmly under control at all times - directly on site or via a remote connection. A real-time multitasking operating system ensures the time‐critical and safety-relevant tasks as part of engine regulation, engine monitoring and engine control. Combined with the "myPlant ®" on-line plant management-tool from GE, it assures reliable remote control of the plant over the Internet.